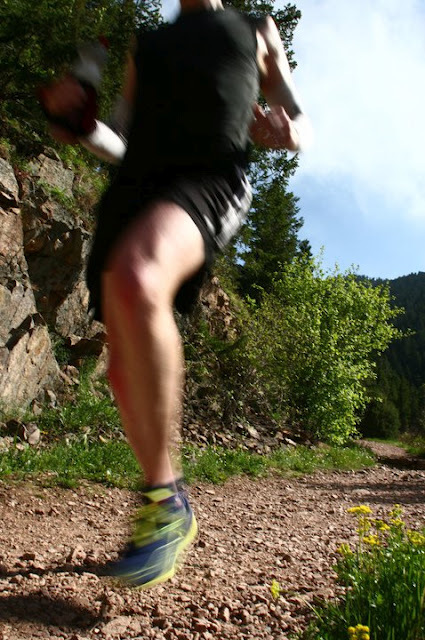 Trail and Ultrarunning seeks to be a source of information for all levels of runners. 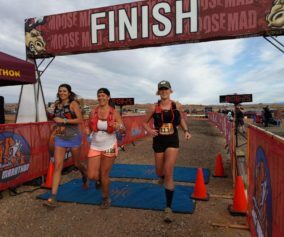 Keeping that in mind, this article is offered to those who are preparing for their first ultramarathon. Additionally, this information is only meant to provide a basic overview of common training methods used by ultrarunners. As always, it is up to you, the individual athlete, to safely experiment with different styles of training as you prepare for your event. One of the greatest things about ultrarunning is the process of learning about yourself and the things that help you be the best you can be. 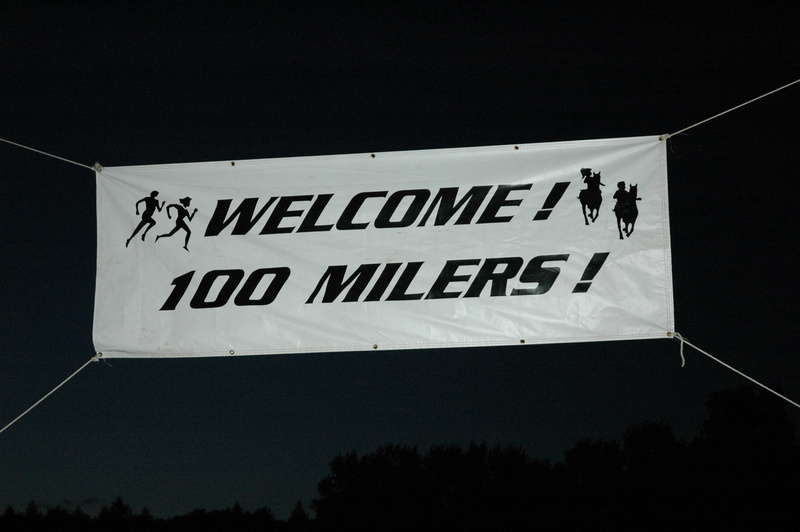 Generally speaking, most runners who train for a 50k have finished a marathon or several prior to considering the 50k. But, there is no rule book which requires you to do so! In a recent exchange on Twitter, we were informed by readers that “Training Plans” for ultrarunning were something they desired. It seems that there are many runners seeking to make the jump from marathon distance to 50k (or 50 miles). For one reason or another, there is a gap of information for many who are left wondering how they should modify their current training for ultra distance. 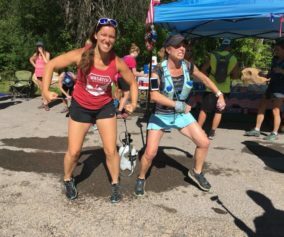 The fact that runners are looking for “training plans” identifies the fact that marathoners do not yet realize many of the distinctions between ultra trail running and road marathoning. The differences between your typical road marathon and a tough 50k can be quite significant. For one, you will likely be on the 50k course much longer than you would be in a marathon. Not only is the 50k longer (usually around 31-33 miles total), but it will also likely be on trails or have more challenging terrain. In a very tough 50k, the first place finisher may complete the course in 5 hours. That same athlete, however, could very likely run a 3 hour marathon on a road course. In truth, every race is different and difficult to compare and contrast amongst other events. The conditions vary from race to race and year to year. There are just more variables in a trail ultra. There are no universal training plans ultrarunners use for the events. Unlike marathon training plans, ultrarunners use a variety of methods to prepare their body and mind for the race. 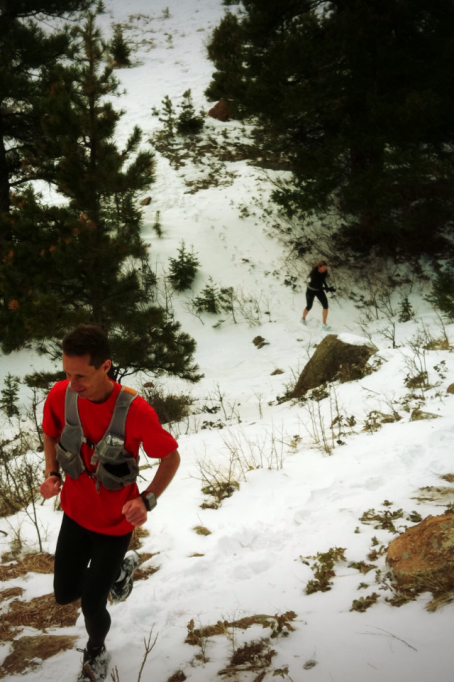 The methodology to ultramarathon training is a vast as the diverse subculture of ultrarunning, itself. Having said that, I have been in the sport long enough to summarize for you some agreed-upon techniques for finding success in your first race. Long-Slow-Distance (LSD)- Almost every ultrarunner will emphasize a great effort to do regular long slow runs. Of course, “slow” is relative, but I think the point is that the long run is not meant to be exhausting, but at a very comfortable effort. Because ultrarunning requires the athlete to run and walk for many hours, the aerobic system must be trained extensively. In order for your body to run the longer distances without reaching exhaustion, you must spend a great deal of time throughout your training maintaining a lower-intensity effort (aerobic training). Often this is referred to as, “Long Slow Distance”. Regardless of your personal fitness, training the aerobic system means running at a very sustainable level…whether that be running, jogging, walk/jog, or hiking. Through this lower intensity, your body will begin to develop the endurance to help your reach the finish of your first ultra. Oddly enough, I have suggested to new ultrarunners during training to “walk as necessary” or simply hike up the hills and return to jogging when they reach the top of the hill. This advice was novel to many and they admitted they initially felt “guilty” for walking as if they violated some ancient code. So, of course…walk as necessary and take breaks on long runs to cool off, eat, drink, or just rest. Let go of that sense of urgency…in training, there is never a need to rush anything. While I’m on the subject, try to be relaxed about the training in general. If you miss a run, or two…or a week, don’t worry too much about it. Your eventual success is built on the consistent effort over months or years…not any specific training session. “Forget about speed on the long runs/walks. The Long Run – Just like the typical marathon plan, (at least) one run per week is set-aside as the long run. 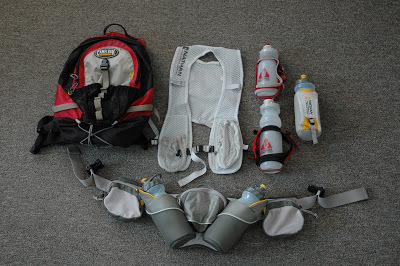 During that run, most ultrarunners seek to be “on their feet” for many hours using the equipment and food/drink they plan to use in their key event. Once again, most ultrarunners are not counting the miles exactly, but more so, considering the duration of their long run. A great number of ultrarunners also do “back to back” runs on the weekend, which means they have developed their fitness to a level which allows them to run what many would consider a second “long run” the same weekend. An example would be a 22 miler on Saturday and a 15 miler on Sunday. Weekly Mileage – This method involves accumulating a certain number of miles per week and gradually increasing those miles over several weeks. Commonly, a rest week every few weeks will allow the body to recover. Similar to a marathon program, one can reduce the mileage by 20-40% every third week in a prescribed rest/recovery week. This, on the surface, may seem like a very simplistic plan…and it truly can be. When all is said and done, the act of training your body for ultra involves long slow mileage on the trails…no matter how you count or define it. This method of accumulating “weekly mileage” is what I use to prepare for 50-100 mile races. As with most plans, the bulk of the mileage is found in 1 or 2 longer runs while the daily runs make up about ½ the weekly total. Weekly Vertical – I’ve had the opportunity to interview and speak with some of our sport’s “elite” ultrarunners. Without naming names, I’ll share that quite a few top mountain ultrarunners throw mileage aside, choosing instead to accumulate weekly vertical gain. Once again, to point out an obvious fact…100 weekly miles on flat ground is nothing compared to 100 weekly miles with 25,000 ft vertical gain. 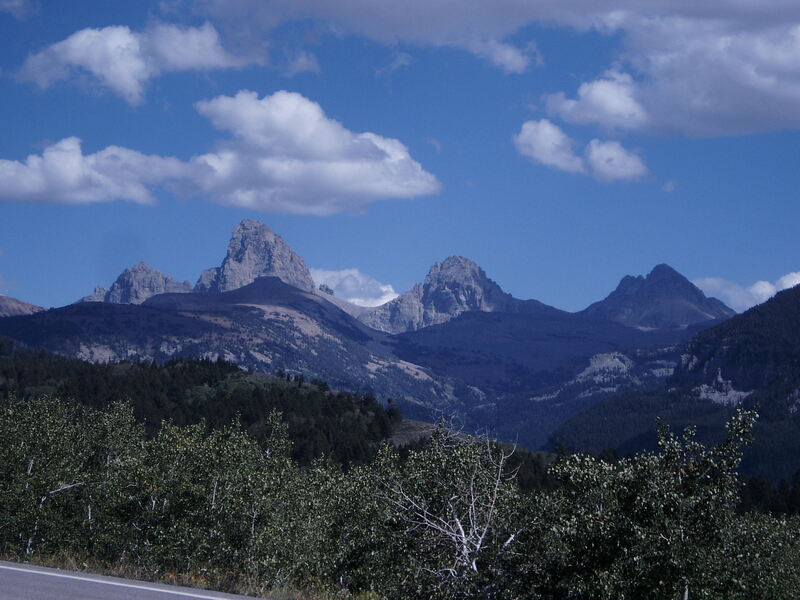 If you want to run mountains, you have to train in them. Its important not to over-think any of this. 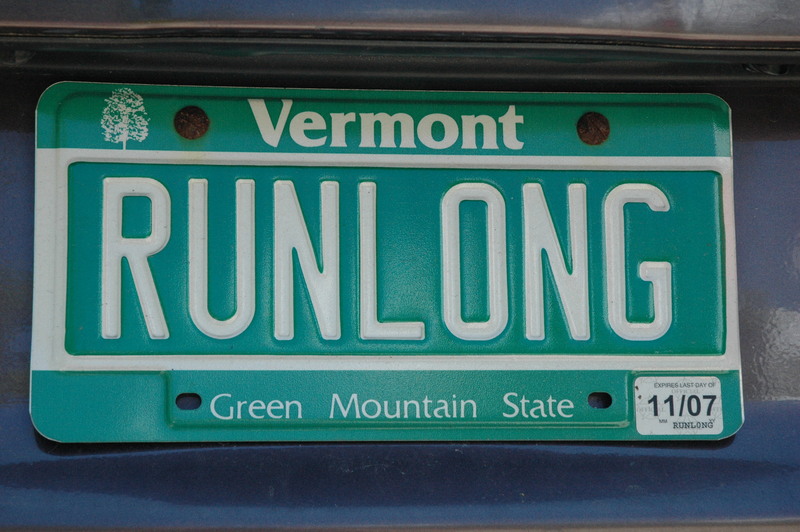 If you run long, often, you will develop endurance for ultra. Tempo Run(s) – A weekly tempo run (or two) seems to be ample for maintaining “speed” appropriate to ultra. This can be done on one of the shorter runs of the week. 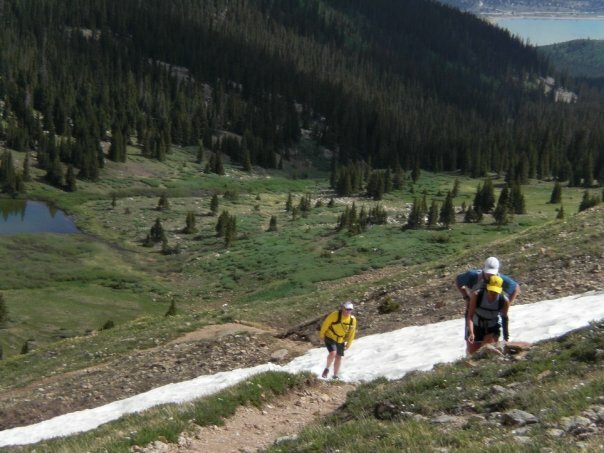 Once again, some ultrarunners don’t do anything to maintain speed or turn-over. Others claim their attention to running tempo work regularly is what helps them stay efficient in a competitive 100 mile race. The jury is still out…and, like I mentioned above, it’s an individual experiment. I seek only to summarize the bulk of training methods amongst those I’ve run with and trained with in the past. So, from my observation, most will vary the speed of their training runs to incorporate a range of pace. This seems to be more important for the 50k than say, 50 miles. For those of you who are coming from a speed-emphasized marathon training program, rest assured you have plenty of “speed” already. For most in your situation, the emphasis should be on efficiency over technical trail and learning to run with less effort over longer distance. By setting aside a day or two for up-tempo runs, you will maintain that faster turn-over from running marathons. Many typical marathon training programs will take runners from weekly long runs of 10-12 miles and gradually increase the long run until they reach 22-24 miles. This is often followed by a 2-3 week taper and race. In preparation for your first 50k, you would benefit from a greater emphasis on doing training runs on surfaces and terrain as similar to your 50k event as possible. 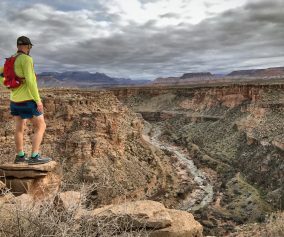 This emphasis will bring the differences into complete clarity…those being the technique of running trails, climbing hills, navigating water crossings, and caring for your body in terms of endurance nutrition/hydration. It should never be a question of how many miles you covered one time in training…that isn’t necessarily the factor that will bring success. More often, it is the quality of the weekly long runs you completed over several months. 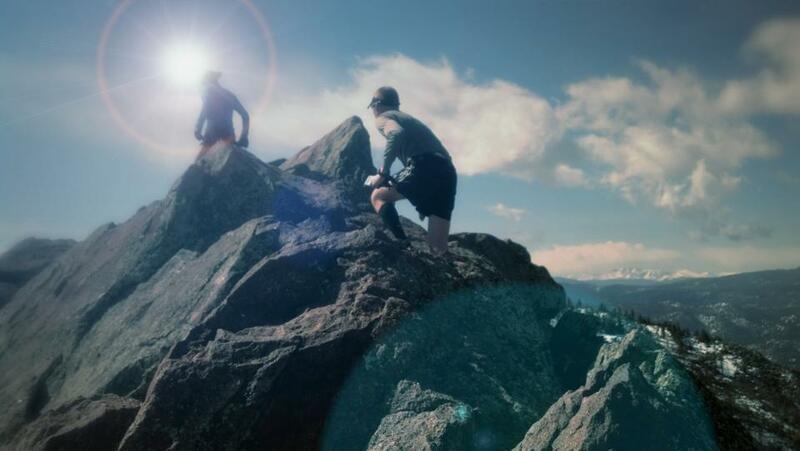 By allowing yourself to let go of the “mileage” emphasized training plans of a typical marathon program, you will open up a world of new challenges found only on trails. In this, you will likely develop a new understanding of efficient movement rather than seemingly quantified “success” found in a faster pace or finish time. As always, the value of the finish line is felt in your heart. It is earned. *Coaching: Several of us here at Trail and Ultra offer coaching services. You can link to our coaching page to find out more. There are also other quality coaching services available online in a variety of formats. Regardless of how you choose to prepare yourself for your race, we hope you find success and reach your personal goals. Thanks for posting this. It’s a good reminder to me that a person needs to train like they expect to race. Trails call for trail practice, hills for hills. And a long time running requires practicing a long time running. Now, off to find some muddy hills so I can practice running in wet shoes! Thank so much for this Jerry! After running my first marathon in May, my first 50k is a month away. Lots of great insight – especially running in wet shoes / socks! 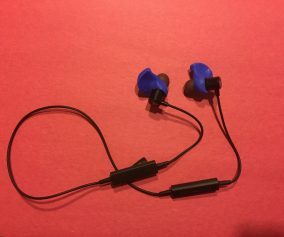 Going to give this a whirl on my run tomorrow. You’re welcome! Have an awesome race!